We are all rightly proud of our Jensen C-V8s! Here you will find the people that are dedicated to owning, restoring and keeping the Jensen C-V8 dream alive. 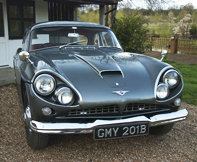 Click on the image of any car to get the owner profile and here the story behind their Jensen C-V8. If you're a C-V8 owner and you'd like to be included on these pages please drop me a line here. Many thanks.